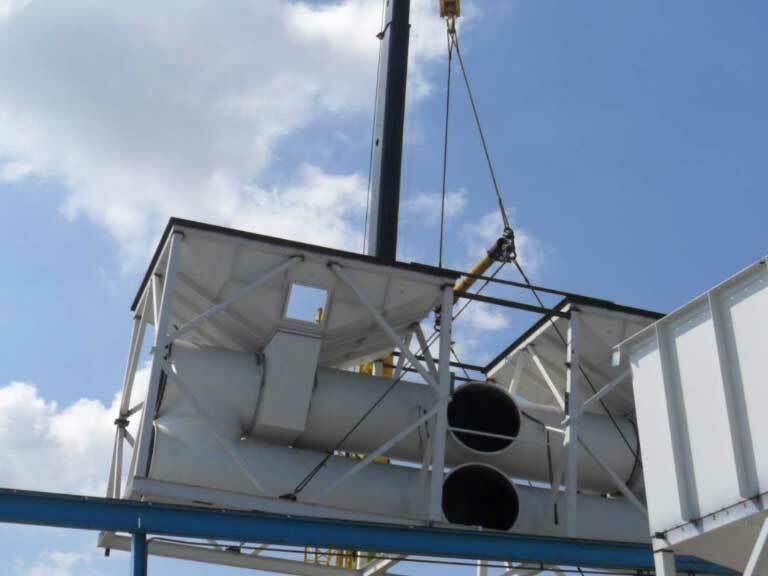 Our installation team proudly performs zero down-time installations of new air pollution abatement systems. When replacing an outdated abatement system we may be able to provide a zero down-time installation. Our engineers, skilled installers and technicians can work with your facility personnel to develop a plan that allows for continued production during installation. 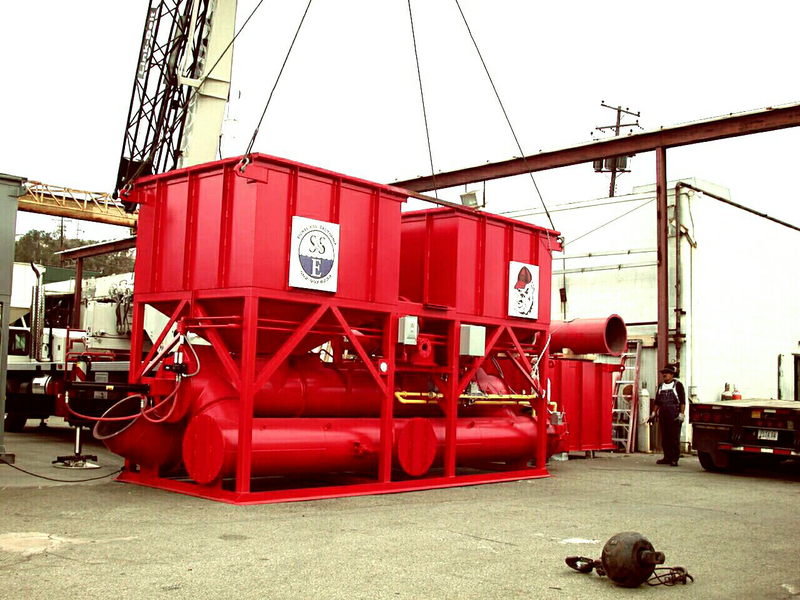 VOC Abatement Systems are large and usually shipped on several flatbed trucks. 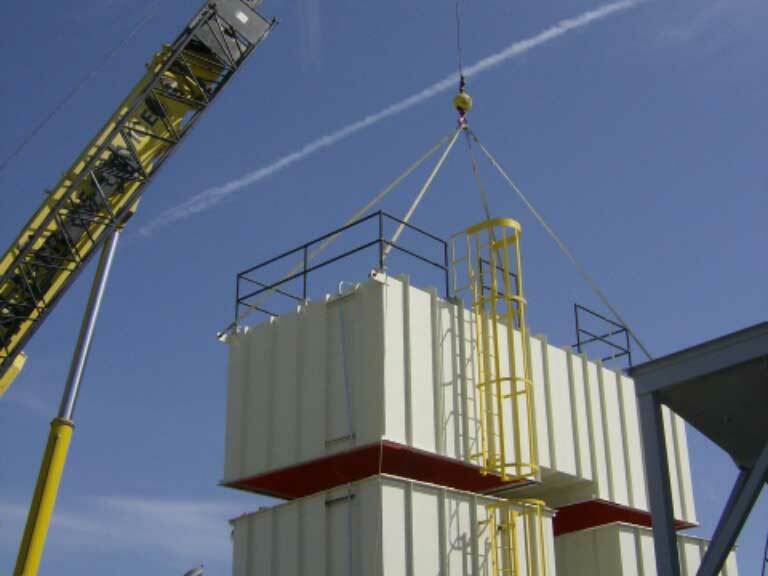 Loading, off-loading and assembly requires the use of a crane to position the abatement system components. Our experienced installation crews can save you time and frustration when installing and securing the abatement system to the foundation. We can also install other ancillary equipment such as: collection systems, blowers, floor sweeps, permanent total enclosures, hoods, ducting, etc. After installation has been completed our start-up technician will verify that all connections are completed and begin to balance the system. Operator training is provided by our start-up technician and will be tailored toward the operators and engineers who will be responsible for the day-to-day operation of the system. Training sessions include instruction on the control system, concepts of equipment operation, start-up/shutdown procedures, emergency shutdown, and preventive maintenance schedules.